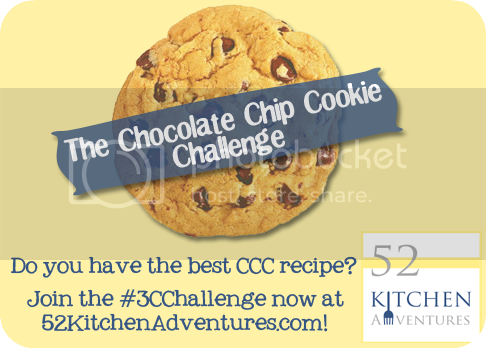 There is a certain Chocolate Chip Cookie Challenge, hosted by 52 Kitchen Adventures. 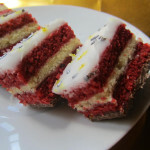 Over the next two weeks she will be posting 6 recipes from different bloggers, and then on August 15th there will be a cookielicious link up. I found it to be the perfect excuse to make cookies I had been craving for a while: cakey chocolate chip cookies. While I guess most people prefer their CCC thick and chewy, these cakey cookies hold a place in my heart. 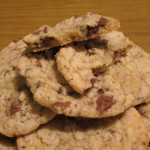 You see, the first time I made chocolate chip cookies, I used the recipe and tips from this article. 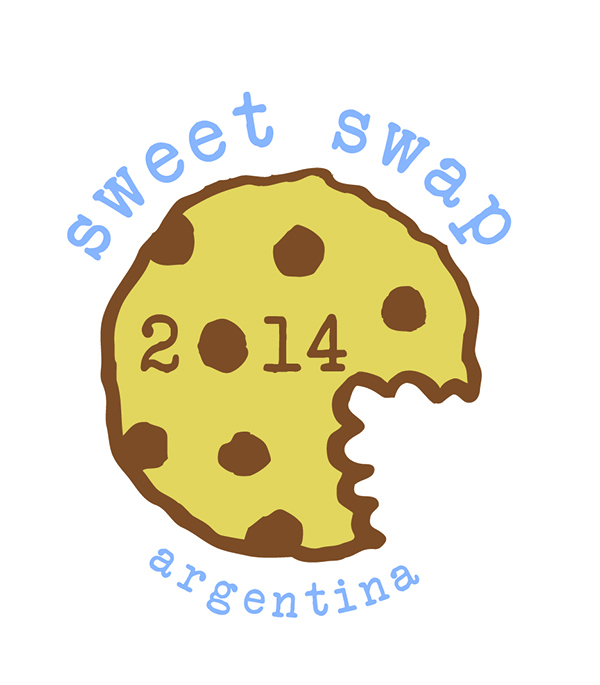 I downsized it, of course, cause it makes a huge batch. But somehow I got the proportions wrong, and I ended up adding a lot more flour. It tried to make it up with milk, and guess what, the cookies were still good. Really good. So, if you ever need a break from chewy, dense cookies, try this soft version. The downside is that they feel so much lighter, that you’ll definitely want to eat more than one. 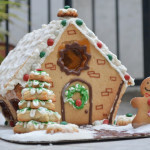 And if you want to please all the cookie lovers in the house, you can make both kinds of cookies at once: just make the recipe below with only 1 1/2 cups of flour, divide it in half and add a 1/2 cup of milk and the remaining 1/2 cup of flour to one half. 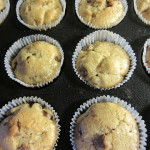 Then mix in chocolate chunks in the chewy dough, and chips in the cakey dough. Or use the same for both, but for some reason I think it makes more sense that way. When baking, remember that the chewy cookies have a shorter baking time. 1. Mix the flour, salt and baking soda thoroughly. 2. Beat the butter and sugar until light and fluffy; at least 2 minutes. 4. Add the sifted flour mix in two additions, alternating with the milk. 6. Refrigerate the dough for at least an hour, or up to 36 hours. 7. Preheat the oven to 350ºF. 8. Place tablespoonfuls of dough into a parchment lined sheet. 9. Bake for about 15 minutes. 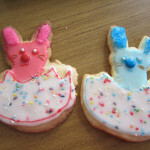 The middle of the cookie should look dry rather than shiny, and the surface should spring back when lightly pressed. Hehe, it’s always hard to say no to cookies :) Thanks! You should give it a try :) And good luck on that!